Some times damaged carpet is just damaged. 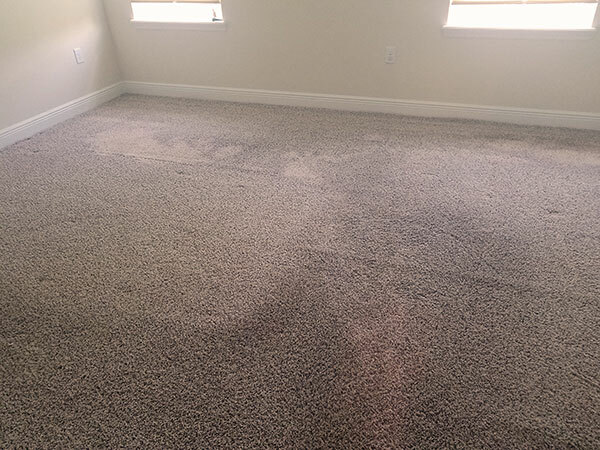 These before and after photos were taken during a carpet cleaning in New Tampa FL. The carpet in this master bedroom had severe traffic lanes because the home owner like to put lotion on her feet before leaving the room. Over time the lotion got more and more absorbed into the carpet fibers creating a oily residue that started to collect soil. There were also some bleached areas of carpet, visible in the upper left hand corner of the after photo, from a DIY stain remover made from water and bleach. I run into a lot of bleached carpets in New Tampa FL as people try to fix a small problem but inadvertently make it worse. If carpet is bleached in a small area it usually can be fixed. If the bleached area is large then there is not much else that can be done. Fortunately my customer was moving out of her home and had just put it on the market. 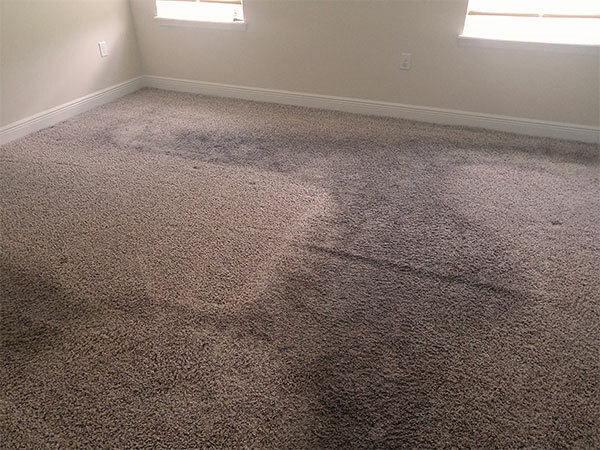 She was realistic about the state of her carpet and just wanted it cleaned to minimize some of the heavier stained areas. If your planing on putting your home up for sale it's always best to have the carpets cleaned. There is no need to replace them. Let the new home owner choose the carpet they want when they buy it. You never know what the new owner is going to want to put in it's place.